Season 10 of the hit U.S. television show Shark Tank is currently filming, and a couple of its “sharks” have been spotted wearing some new timepieces. Daymond John, the founder of hip-hop clothing brand FUBU, usually rocks a gold Breitling Emergency. But I spotted him wearing a made-in-the-USA watch on an Instagram video from fellow “shark,” Kevin “Mr. Wonderful” O’Leary. John was sporting a gold Devon Works Tread 1, a battery-powered watch that displays the time using miniscule belts. I’ve previously spotted businessman and investor O’Leary wearing Jaeger-LeCoultre and Panerai on the show. He wears his watches on a red strap, which has become a signature look for him. 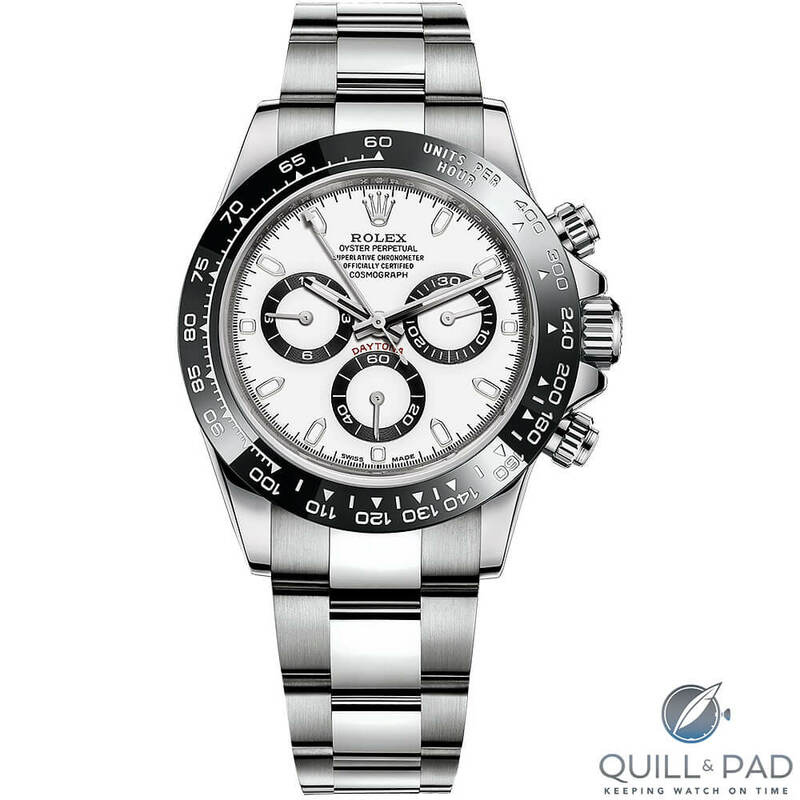 He posted a picture of the watch he was wearing for season 10 on Instagram: a new stainless-steel Rolex Daytona Reference 116500 with ceramic bezel. Instead of the normal bracelet, he had naturally swapped out for a red rubber strap.